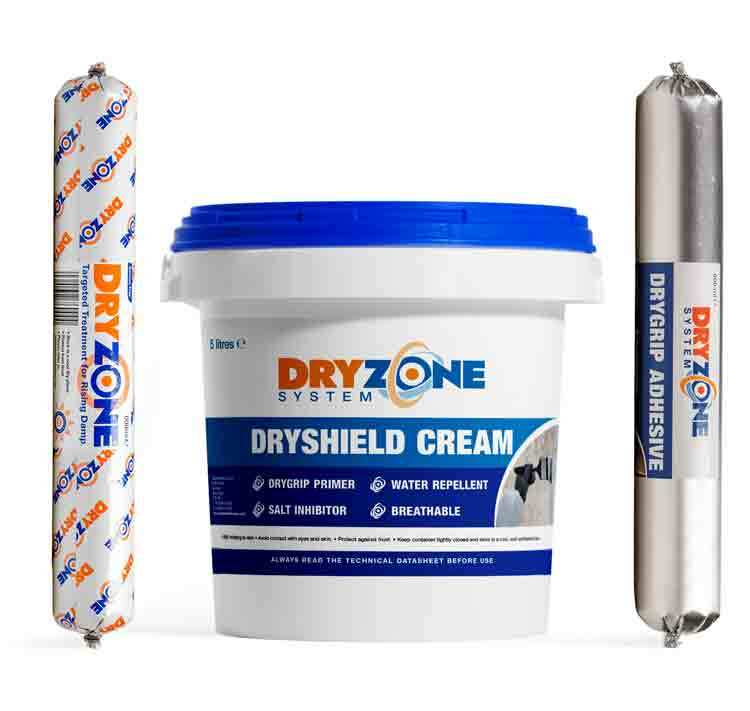 The Dryzone System combines the power of our patented Dryzone damp-proofing cream with a modern fast-track replastering system. 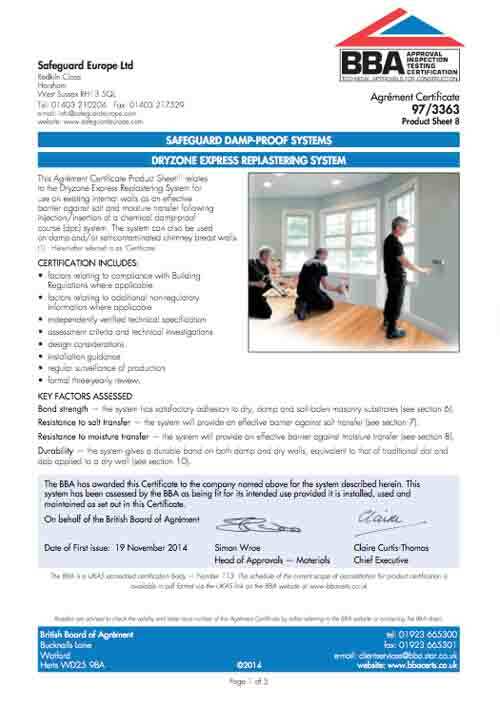 Rising damp treatment and replastering can now be completed in just 24 hours. Breathable and as effective as a sand:cement render, the Dryzone System allows for ordinary plasterboard to be used to cover up damp and salt contaminated walls. 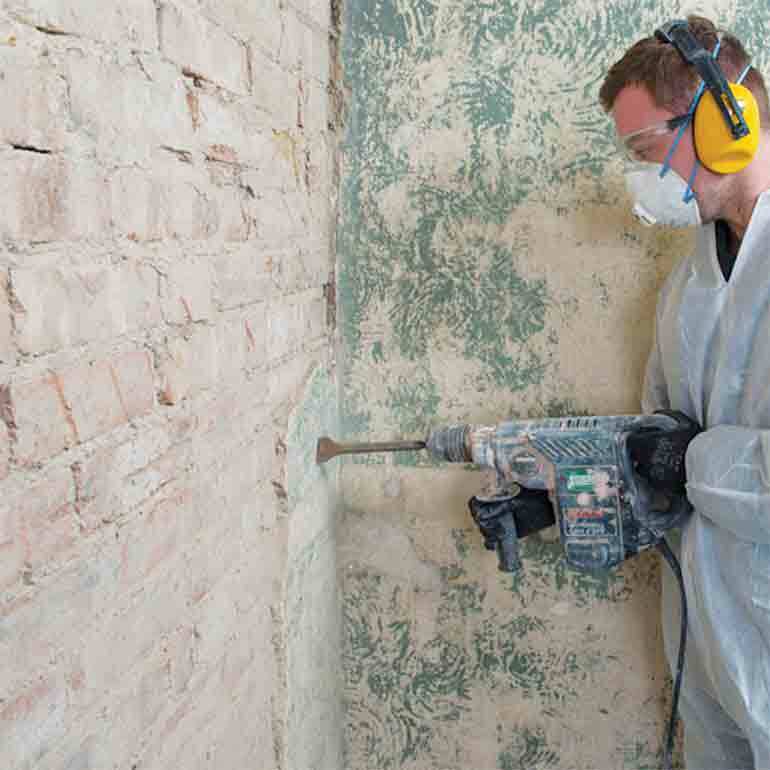 The Dryzone System is quicker and cheaper to install per m2 than a sand:cement render, and allows the use of cement-based plasters to be avoided when treating rising damp on heritage projects. 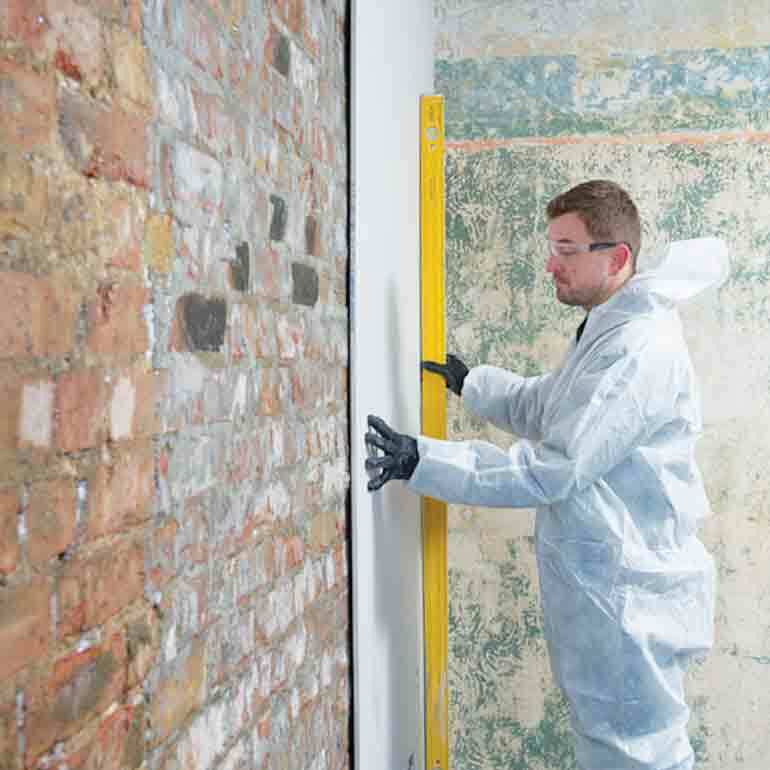 How does the Dryzone System differ from other rising damp treaments? How does it compare to current methods? 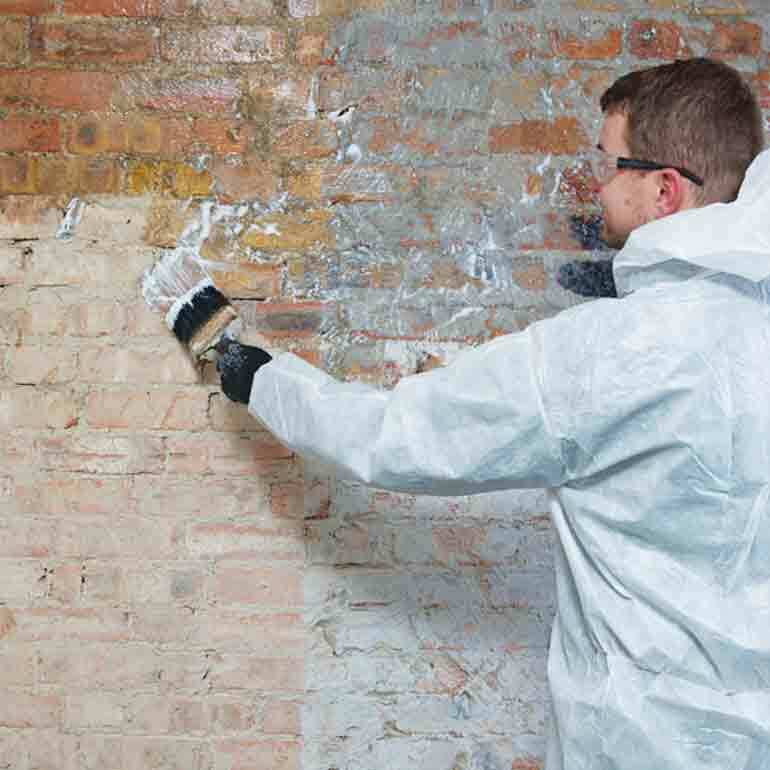 In most cases it is necessary to remove the damp/salt contaminated plaster before the Dryzone System can be used. 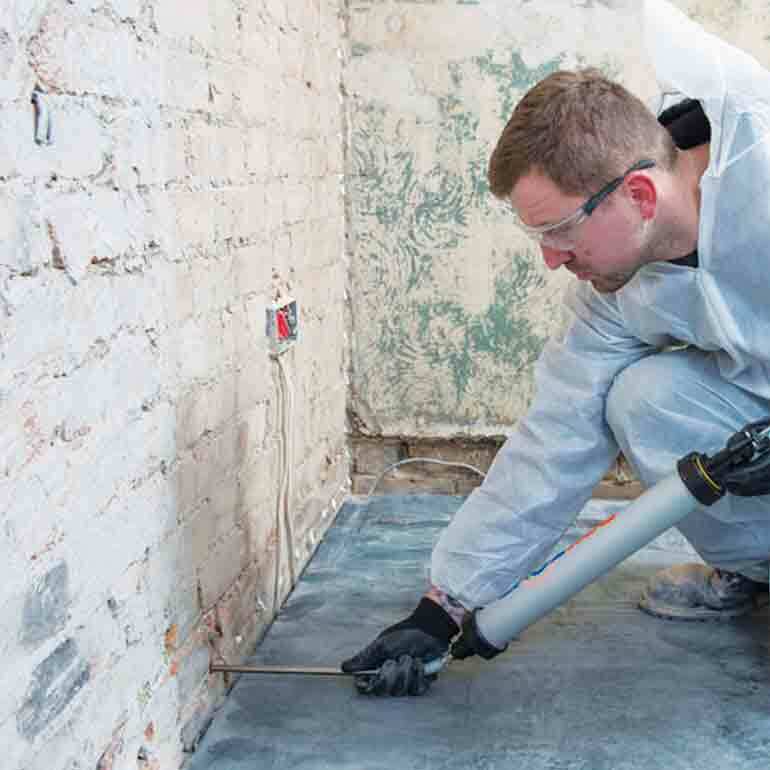 Dryzone damp-proofing cream is injected in the usual way. 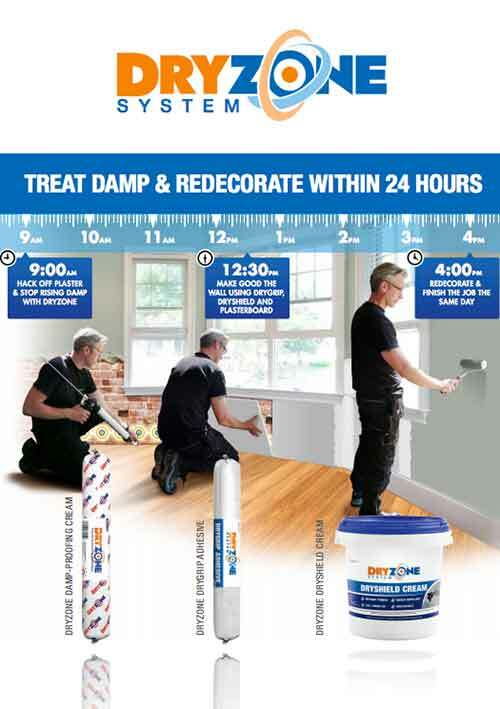 The success of the Dryzone system relies on the high-level of performance provided by Dryzone damp-proofing cream in walls of all types. 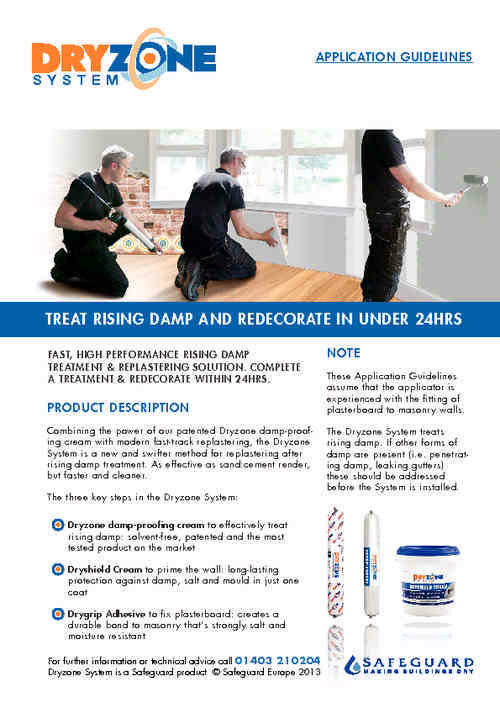 The Dryshield Cream resists salts that are already present in the wall as a result of historic rising damp. It also acts as a primer for the Drygrip Adhesive – maximising bond strength to the masonry substrate. Drygrip Adhesive has been specifically designed to provide an excellent bond onto masonry surfaces and to be resistant to moisture and salts. Dryzone System Fixing Plugs are used to hold the plasterboard in position. They are not used to hold the weight of the board – just to allow a smooth join between boards. 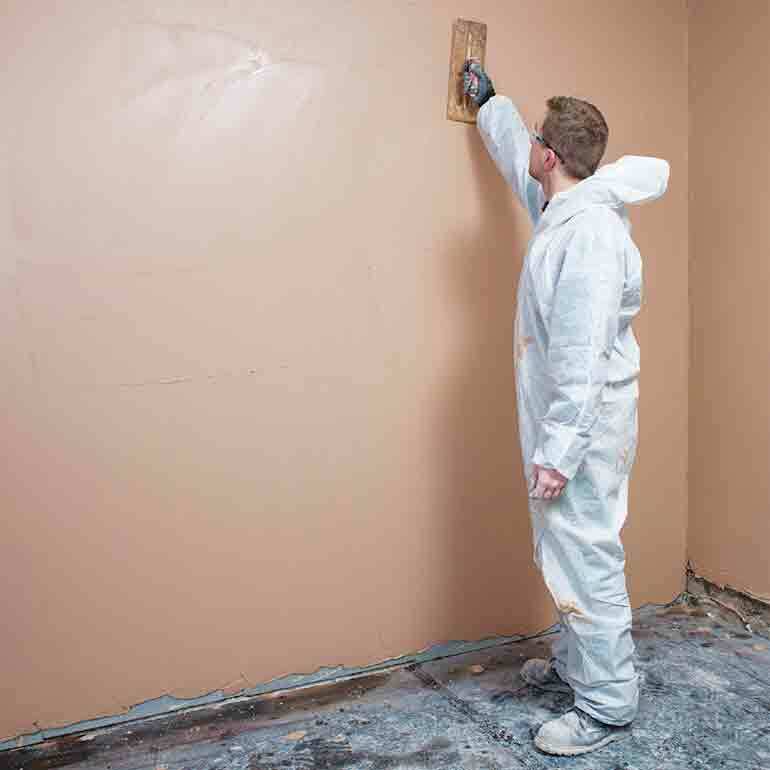 Apply the final skim coat using a suitable gypsum-based skim plaster. 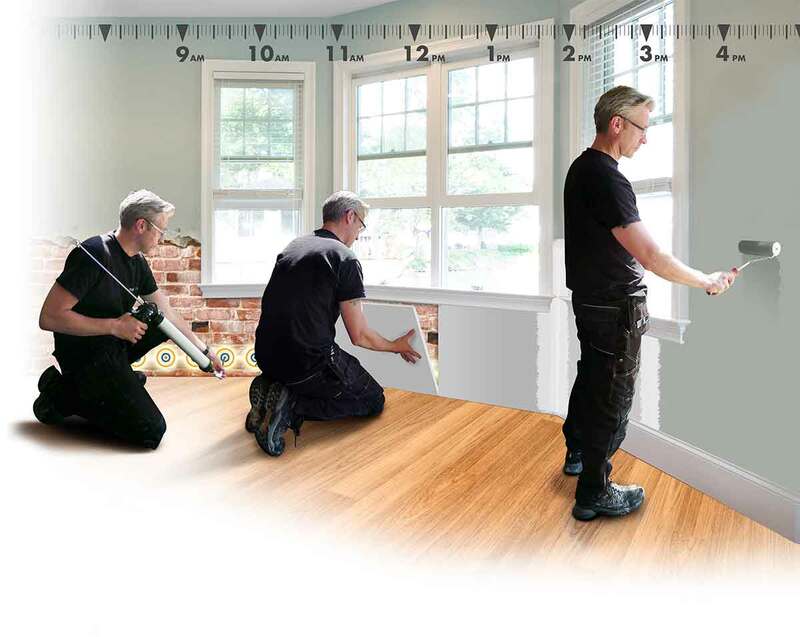 Alternatively dry-joint the boards or simply wallpaper for an even quicker result.